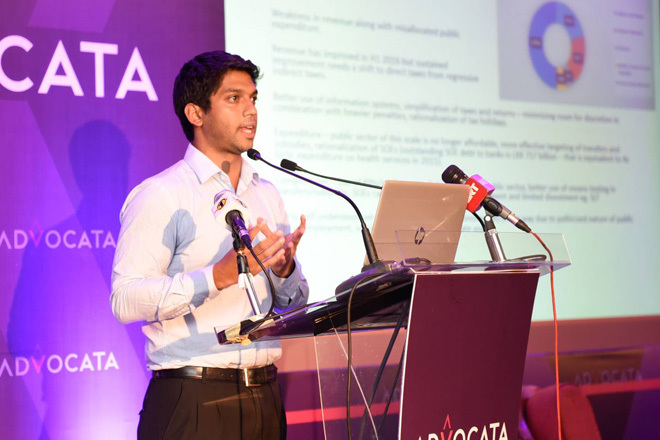 Aug 01, 2016 (LBO) – Sri Lanka’s most urgent economic risk is external debt sustainability and it has been one driving factor behind macroeconomic volatility in the country, a young economist said. Deshal de Mel delivering a public lecture hosted by the think tank Advocata Institute said the legacy of access to long term concessional debt and easy repayment schemes eventually enabled the country to build up a large public sector and debt burden. “Post 2007 requirement to tap into global capital markets due to less access to concessional borrowings is one major reason,” de Mel said. De Mel said high government borrowing levels influenced higher interest rates and crowded out private investment. He said recent balance of payments weakness has been largely influenced by external debt repayments with implications for rupee depreciation. “At other times fiscal expansion drives imports, contributing to Balance of Payments stress and rupee depreciation,” Mel said. 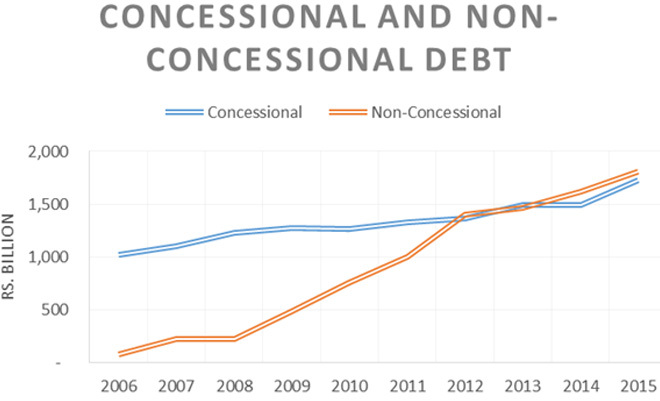 Financing the current deficit requires high levels of indirect taxation and it also affects consumer freedom and high import taxes restrict domestic competition. De Mel said better use of information systems, simplification of taxes and returns, minimizing room for discretion in combination with heavier penalties, rationalization of tax holidays are ways to fix the fiscal issue. “Public sector of this scale is no longer affordable, more effective targeting of transfers and subsidies, rationalization of SOEs are needed to fix the fiscal issue,” he said. “Use of key performance indicators linked pay in the public sector, better use of means testing in transfers & subsidies is required,” he said. He said reforming SOEs can be addressed through management and limited divestment. De Mel added that re-orienting the government role is needed to focus on addressing market failure through smart, unobtrusive regulation, rather than one that attempts to replace the market by fixing prices and engaging in business. “We also need to rebalance the supply of education to enable more private participation to create competition, enable better supply, thus freeing up resources to invest more meaningfully in state education to improve curriculums to meet the requirements of a modern market,” he said. De Mel further said that it is important to gradually ease out of excessive domestic protection in agriculture and industry once linked with such export value chains.